In the height of summer, people often ask us at Seaquist Canning what occupies our winters. While Seaquist Orchards Farm Market is quiet, the Seaquist Processing is closed up tightly and the cherry and apple trees are taking a deep sleep, our canning kitchen is hosting a loud, fragrant and fun Jamboree. These are the months we have to prepare the many delicious jars of products you purchase all season long. So what does our jamboree sound like? It is the sound of jars clanking, lids popping, music blasting and laughter. What does it smell like? It is almost indescribable! Today it smells like fragrant, sweet, mouthwatering raspberries. We can always tell the flavor of the day by the smell in the air. What does our jamboree look like? We have 7 full time staff working so hard to make and perfect each jar of jam, jelly, salsa and pie filling. We appreciate them so much! In just three weeks’ time that staff made over 36,000 jars of our top flavor, Chopped Cherry Jam. They are a super team! This week we are working on “small” flavors and then we move onto another top flavor, Cherry Pie Filling. 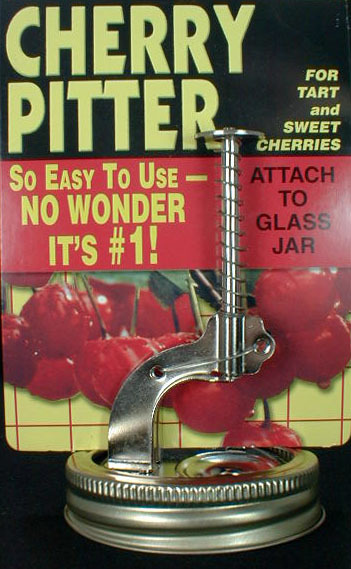 This year we will make about 17,000 jars of our famous cherry pie filling. The Seaquist family is very thankful that we are able to bring our fruit full circle, from our orchards to your kitchen. We hope that you taste the love and commitment in each bite of our products! 2:30-till the whipped cream runs out! 11:00-4:00 Peddle carts/Rope Maze Open! It’s a sweet deal! Free fabulous fudge! Place an order of $30 or more, and we will send you a piece of homemade fudge, – made right here in our fudge kitchen by Joy! What is Zach up to these days? Zach at one of his many desks! Summer is here – and Seaquist family members and employees are working non-stop! Our next family member in our story of what we do during the off-season is Zach. BUT, it’s not the off season anymore! 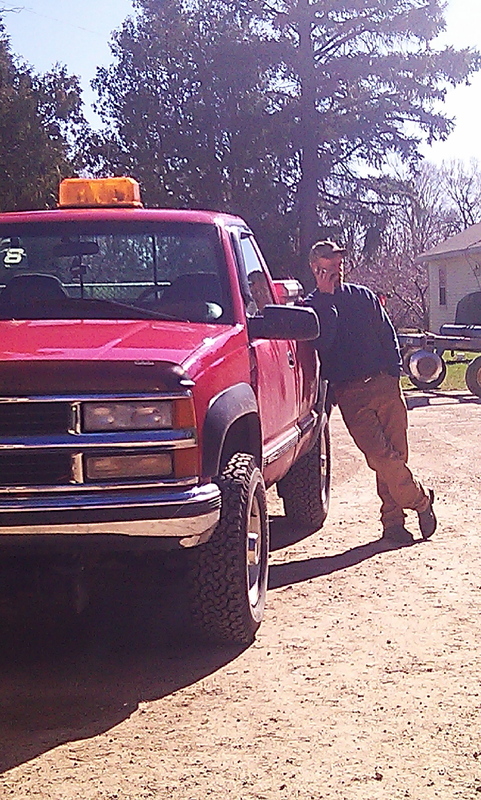 Summer, fall, winter or spring, – Zach, who grew up working in the farm machine shop, orchard, beside his dad Dale, is busy year-round, building and repairing equipment. Zach is in charge of the machine shop, heads up the harvesting crew during cherry season, implements and maintains our irrigation systems, and helps us all whenever he can with whatever needs to be done. Zach is one of our behind-the-scenes family members, – who helps make it all go well for the rest of us. Fresh strawberries are available! They are ripe and so very delicious! In one of the Seaquist households, strawberry shortcakes is the traditional Sunday night supper during strawberry season. Big shortcakes, lots of strawberries, whipped cream and a spoon – and you are all set for a terrific supper. There are 4 food groups in there someplace, – we’re sure! Summer has come quickly to our orchards, and we will be harvesting cherries before we know it! We may have early tart cherries within 2 weeks – quickly followed by several varieties of sweet cherries. Sign up has begun for our 2012 pie classes. They will be held twice a day, on Thursdays, in July. Space is limited, and by the popularity of the classes in 2011, – the spaces will fill up quickly this year too! Give pie making a try – you may just find that you are a natural at it! You can call 920.854.4199 X 108 – Bakery!